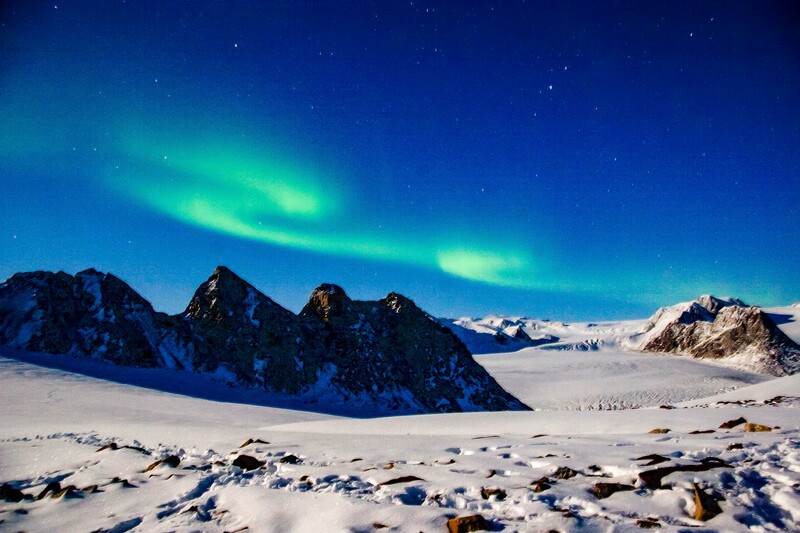 Greenland, Warming Island, off coast of Liverpool Land, Northern Lights Over Pinnacles, 2006 - The Northern Lights as shown in this photograph are accentuated by the time exposure. In reality, they are not so bright, but incredible nonetheless. Try to see them before you die!